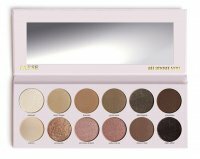 PRESSED EYESHADOW PALETTE - IN THE SPOTLIGHT by AFFECT. Eyeshadow palette. It consists of 12 highly pigmented pressed powders, with extremely vivid, varied colors. Created in cooperation with PRO Make Up Academy, thanks to which it ensures high quality and reliability when making professional, every day and for special events makeup. The palette offers shades with different finishes. The whole was placed in an elegant palette with a mirror and a magnetic lid. 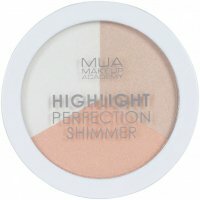 Contains powders with different finishes. Thanks to the formula, the shadows do not fall on or roll in bends. Perfect for both very day and professional make-ups. - ESPRESSO - dark brown (matte).